I think I had the same reaction that Darren Bergstein had. This is very shocking and unexpected news, and a great loss in the ambient music field. 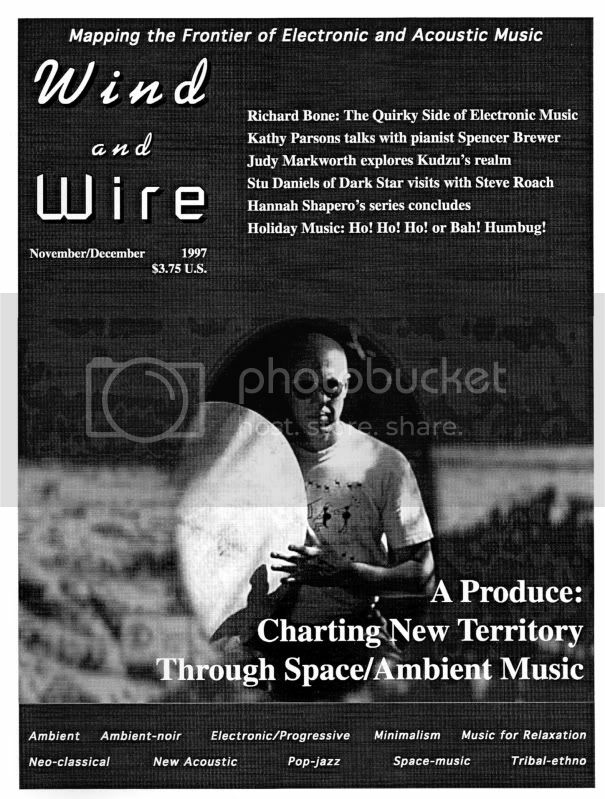 My first exposure to Barry's music was in 1994, thanks to Robert Morris, a really enthusiastic ambient fan who ran a small mail-order business called "Dangerous Dharma" in the Bay Area. I think "A Smooth Surface" and "Land of a Thousand Trances" were some of my first CD purchases from RM. Backroads also supplied A Produce stuff I bought later. I remember the article on A Produce in I.E. Those were the days, pre-Internet, when everything was by word of mouth, 'zines, telephone, and the dinosaur now known as the record store. I loved the detailed liner notes in the TrancePort releases as far as instrumentation and the Eno-esque descriptions of instruments/sounds. It was obvious Barry's music was influenced heavily by Budd and Eno, not just in style but also in the process of making music, a kind of "emotional intellectualism", if you will. His music always had a very mysterious quality to it that was unique and unlike a lot of his contemporaries. My condolences to his family, friends, and fellow musicians who knew him. Those of you who have followed Hypnos for any length of time will certainly have noticed that our releases stick to a sort of visual template. This is intentional, an effort to create a visual identity for the label, something to bind all the releases together. Barry had a number of requests as to layout, type, artwork, packaging and so on, and I had to insist over and over that we couldn't diverge from the Hypnos template to the degree he was requesting. Once I make an exception like that for one artist, then the next guy wants a 16 page booklet, and the guy after that wants a white border instead of black, and a different font and eventually your label's visual identity is gone. Thanks for the back story to that, Mike. I do recall one or two testy moments with regard to orientation of my photos for the package. Barry flipped on me a bit for not wanting the images flipped! But it was a minor glitch and all is, as you suggest, worth it in the end. I knew Barry from the 80s when he sent cassettes to me for a radio show at UBC. Barry was very generous and kind and I was happy to see him more recently in fighting spirit on Facebook and taking a keen interest in all things LA. One of his FB posts a few months back was a news clip about prostate cancer and there was a small hint that it was now of concern to him as well. Not sure how/if that became a bigger issue in light of this news. Anyway, as we all know, the music is still with us....as is that great pic of Barry from years ago with the shades, in the car, in the desert...some kind of great Antonioni outtake! From Barry's FB page. Taken in 1980 in the desert. Love this shot of him! Drone On, thanks for the memories. It's nice to hear how people discovered this work back in those days. I remember reading and re-reading magazines, looking for sounds that might be of interest. You're definitely right on about the Budd and Eno influences. Barry would not have denied their impact on his work, in fact he talked a lot about Eno's approach to recording, including the incorporation of "happy accidents" in the creative process, and often referred to Ruben Garcia as "his" Harold Budd. Mark, those old pictures of Barry on Facebook certainly surprised me when I first saw them. He was one of those people with no qualms about putting 20-30 year old pix up on social media sites. I heard at least a couple of people guess he was much younger based on these old photos. I've just posted the information to the ambient music, space music, and ambientway mailing lists. Don't most people do that? He had a mix of photos and was always clear when they were from. I think he did lack a nice, more recent portrait though. That's common too. I doubt Barry was trying to deceive people. In fact he pretty much still looked like he did in those mid-90s pictures. The shaved head helps a guy look much the same at 40, 50 and 60 I think. But I do think at least a small number of people guessed he was 25-35 due to the prominence of those pix on his Facebook profile. Bill, that's great, and I remember it well. Thanks for sharing it. I'm very surprised and saddened to here this. I first became familiar with Barry's music in the 80s when he released a series of cassette compilations (LA Mantra, La Mantra 2 and Phantom Tracks) on his Trance Port label. Very beautiful and creative graphics and packaging that reminded of Bruce Licher's work with the Independent Project label. My favorite solo work of his is Smile on The Void, though his recent collaboration with Loren has become one of my quick favorites. My thoughts and prayers go to his family. Thanks for chiming in, Forrest. Even I don't go back as far as the cassette days! As much as things are different now from the mid-late 90s, things were yet another version of "differentness" in the days of cassettes. Mike, I have the interview scanned as a two-page PDF. Should I email it to you? What email address? mg (at) hypnos (dot) com? 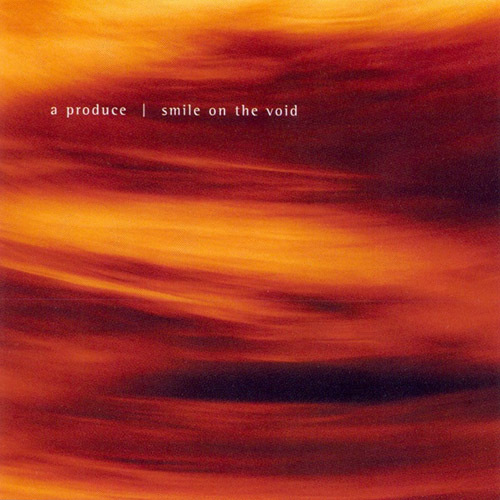 After listening to some A Produce music recently, I remember thinking how much I liked many of the tracks because they were actual songs, not just more ambient drones. These tunes went somewhere & held together for the whole track. I agree with Forrest, my fav solo record is probably Smile on a Void. But without a doubt my favorite individual track is A Smooth Surface. I think that cut would be in my top ten all favorite ambient tracks. It's going to get some extra airtime over the next few days. Thanks, Barry, for all your great music. Mike, I have the interview scanned as a two-page PDF. Should I email it to you? What email address? mg (at) hypnos.com? Yes, Bill -- I'll put it up tomorrow. Barry taught me a bit about the relative values of minimalism versus musicality -- if not outright melody then at least structure. He wasn't the only ambient musician to come at it from a more traditionally musical perspective rather than the more abstract, painterly approach of someone like me, but maybe he influenced me more that way because we talked so many times about the different qualities of ambient music as we worked Altara back and forth over many months. I always come back to A Smooth Surface, and in fact when we began Altara and he expressed reservations about making it too minimal or atmospheric, I used A Smooth Surface as a referent for the kind of simplicity he might bear in mind for our project. I'm sorry to hear of his passing. It's sad that he passed away so young. He created a body of music, and I hope it will help his memory live on. And it's easily to agree with what's already been said earlier. Besides his tribal side which was quite good, he played a nice mysterious minimalism that served him well. If there is such a thing as dramatic minimalism, he pulled it off at times. Early Sessions with Ruben Garcia is simply two great talents putting their best together to create something special. As a senseless side note, I was playing a lot of Devil May Cry around the same time as heavily listening to the Early Sessions, and there were a couple of tracks that captured the same sort of gothic, quiet but powerful mystique. It kind of reminded me of the story and ambience of the game every time I would hear them. I'm sure there are others who have an "ambient experience" where you tend to relive even if it's a few seconds of a track, something within the music that sort of lingers throughout your day. It is sad to see someone whose work was so respected and poised to make a grand comeback in the ambient music field have it cut short. I remember playing a wad of his music on Ultima Thule - all very joyfull and upbeat electronica. very sad another talented artist has gone to the stars. NOTE: This review was written on Monday, September 5, 2011 – the day that Barry Craig (A Produce) died unexpectedly at the age of 59. This review is dedicated to Barry and to the musical legacy he leaves behind. Though A Produce and Loren Nerell have been composing ambient music for years, Intangible is their first collaborative effort. A gentle, bubbly sequence lightly introduces the title track, a superb number that pulls us right in with its silky blend of soothing sounds. It is deceptively simple and eminently listenable. “Planet Atmo” is a more free-floating affair, lighter than air with a gently pulsating undercurrent. Light and dark elements play off each other perfectly. It has distinctly organic and synthetic components to it, a subtle, sublime piece of music. “String Theory” takes things in another direction, with a strong rhythmic, world music feel it, a well-placed change of pace. “Area 51.1” pulls us back firmly into the ambient realm, though a few soft beats remain. The lead sound here is captivating, perhaps a processed sample from a didgeridoo or a drum of some type. “Lost in Transformation” is the darkest, most adventurous piece, churning and gurgling from otherworldly primordial origins. Soft rhythm returns on “Meadow Dust”, courtesy of a djembe or bongo drum, imbued with warm pads and gentle drones. “Pot Covers at Dawn” brings the album to a dreamy, atmospheric close. Each track excels at defining a theme then subtly exploring its nuances without pomp or circumstance. Intangible is a highly cohesive and satisfying listen; a worthy addition to Loren Nerell’s canon, and a fitting finale to the work of A Produce.